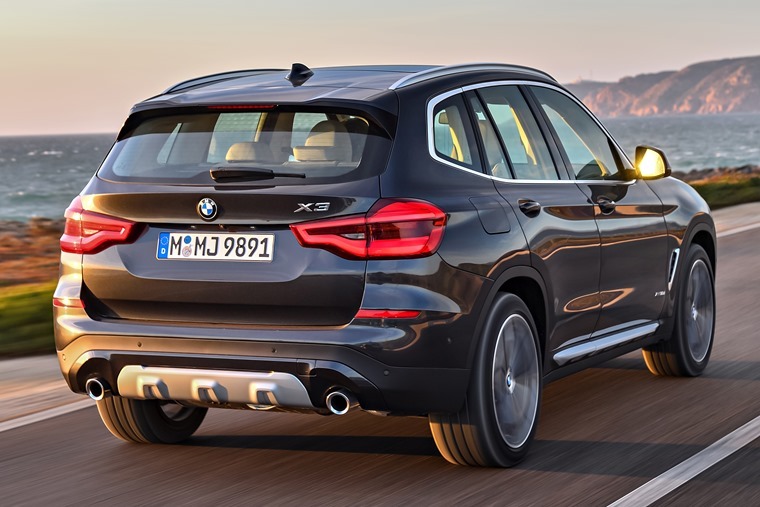 The latest BMW X3 is larger, more powerful, more elegant and cohesive in design than ever before. In fact, it's going to be hard to beat. 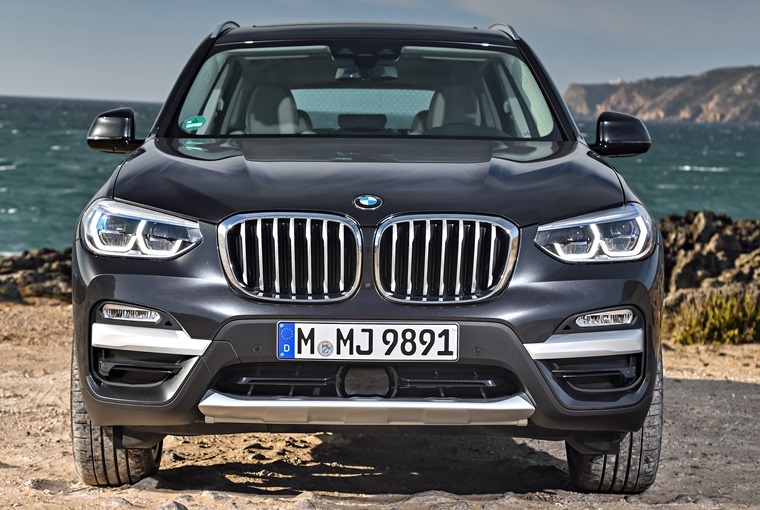 There’s something unusual about the new BMW X3. As you first glance at it, it’s not immediately apparent whether you’re looking at the old model or the all-new version, but the longer you spend in its company the more obvious the changes are. There’s a heavily sculpted bonnet that merges with the shoulder line, and that then flows in one wave to the rear lights. 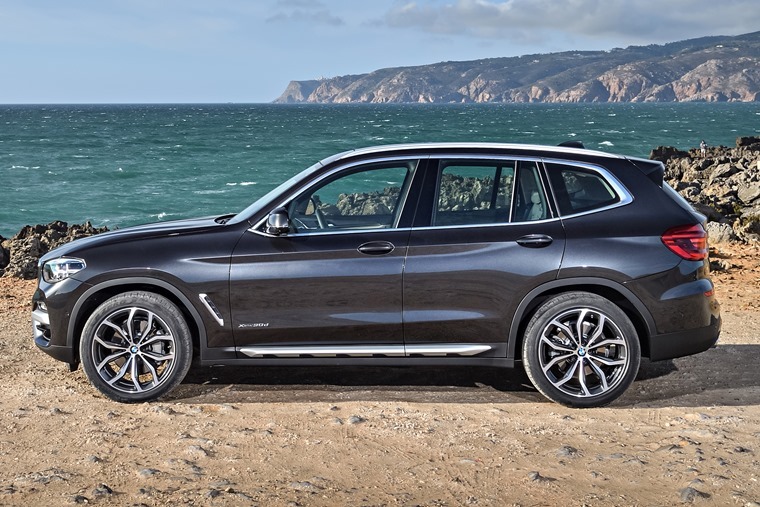 The design is elegant, yet muscular enough to stand out as an SUV by BMW. It’s a far more cohesive design than the outgoing model, something that becomes clear when viewed side by side. High quality materials such as aluminium and open-pored wood provide a seriously premium ambience. 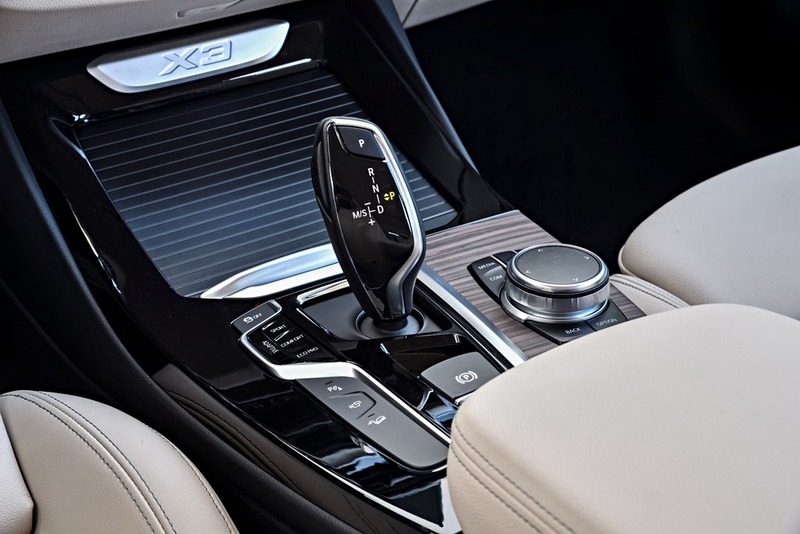 The bigger-than-you-think changes continue inside the car too, where high quality materials such as aluminium and open-pored wood provide a seriously premium ambience. 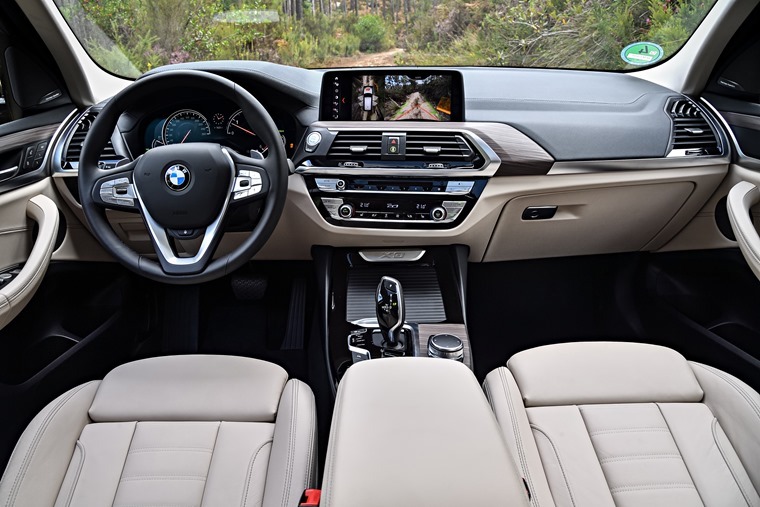 That said, the design is straight out of BMW’s play book which means there isn’t much to get excited about, but the important things like ergonomics are first class. The infotainment system with its iDrive controller dominates the centre stack, so it’s easy to overlook some of the more interesting design touches - at least by BMW standards; a subtle hexagonal centre stack holds all the buttons you’ll ever need, while the semi-digital instrument panel looks great and is classier than Audi’s Virtual Cockpit. Standard equipment is unusually comprehensive. The digital dashboard is part of a range of equipment fitted as standard that is unusually comprehensive. The entry-level SE model gets 18in alloy wheels, cruise control, roof rails, twin exhausts, tri-zone climate control, satellite navigation and a DAB radio, with the xLine model only adding a handful of toys from thee. Move up to the M Sport model as tested here and there’s a sporty looking bodykit, sports suspension and LED fog lights. Importantly, the screen for the infotainment system is also upgraded to an impressive 10.2in. The cabin is also a few inches bigger, benefitting from the X3 growing up slightly. There’s an extra five centimetres in the wheelbase that adds much needed legroom, especially in the rear. Those rear seats can also be specified with a reclining function, should your passengers need a little extra room to relax. The cabin is a refined and relaxing place. 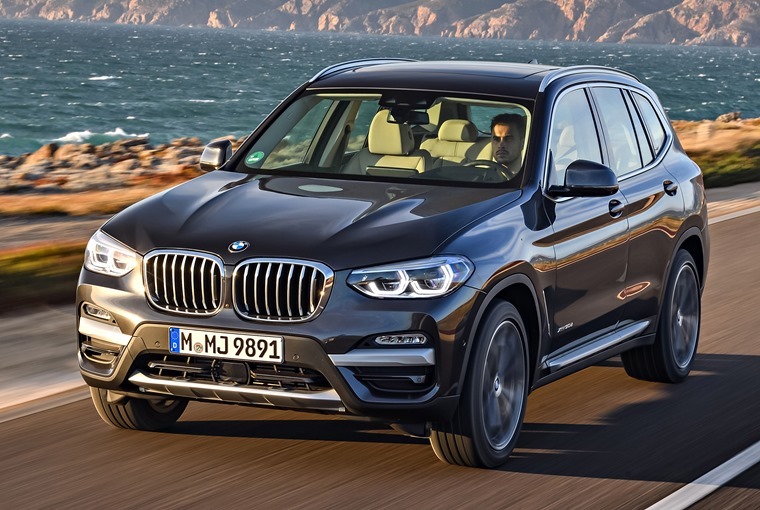 Despite the growth of the BMW, some changes to the suspension has made the X3 a surprisingly agile package, although little can disguise the sheer bulk of the car when pressing on. On the motorway it’s a refined and relaxing; acoustically tuned glass keeps much of the wind noise and other disturbances out of the cabin. Country roads require more attention, but the front end is pleasingly pointy, turning is sharply and allowing you to aim accurately at an apex. Being a four-wheel drive SUV, it’ll also cope with some mild off-roading, so says BMW. The roads around Cambridgeshire don’t lend themselves to testing of that nature, but with 400Nm of torque from the 2.0-litre diesel engine, I’m sure it’ll be able to drag itself over most obstacles. There’s no manual option, so it’s the impressively smooth eight speed auto only. That engine also produces 190PS, which is enough to provide the X3 with enough pace to keep up with most things on the road. Foot flat to the floor, the SUV will drag itself to 62mph in just eight seconds, the driver leaving the car to do the difficult work of changing gear - there’s no manual option, so it’s the impressively smooth eight speed auto only. It matches the engine well which, despite being just a four-cylinder unit, is both serene and frugal. Officially it’ll return 54.3mpg, but even some spirited testing saw the average figure remain north of 40mpg. Competitive CO2 figures mean company car drivers won’t be stung too hard by HMRC, either. There’s plenty of safety kit to keep everybody in one piece, from lane departure warning and city brake assist to rear collision warning and blind spot information. There’s enough autonomous assistance to hint at a driverless future, with lane keeping assist, adaptive cruise control and traffic jam assist, but happily human input is still required. The X3's autonomous assistance systems hint at a driverless future. The tech interferes occasionally, and actually masks just how good the X3 is. Underneath the skin, underneath all that technology, there’s a capable car that is able to handle anything any family, any commuter, any enthusiast can throw at it without breaking into sweat. There’s plenty of poise and pace for those that want it, while the refinement and comfort on offer will keep others just as pleased. There’s just one issue for the X3, at least in 20d form as tested here, and that issue is the 30d model. With an extra two cylinders and an extra litre of capacity, the larger engined model adds a serious amount of extra grunt without affecting economy seriously. It’s a vastly more entertaining option and, if there’s not much in the monthly lease cost, it’s where your money should go. Average* lease rates: Personal: £454 per month; Business: £373 per month.